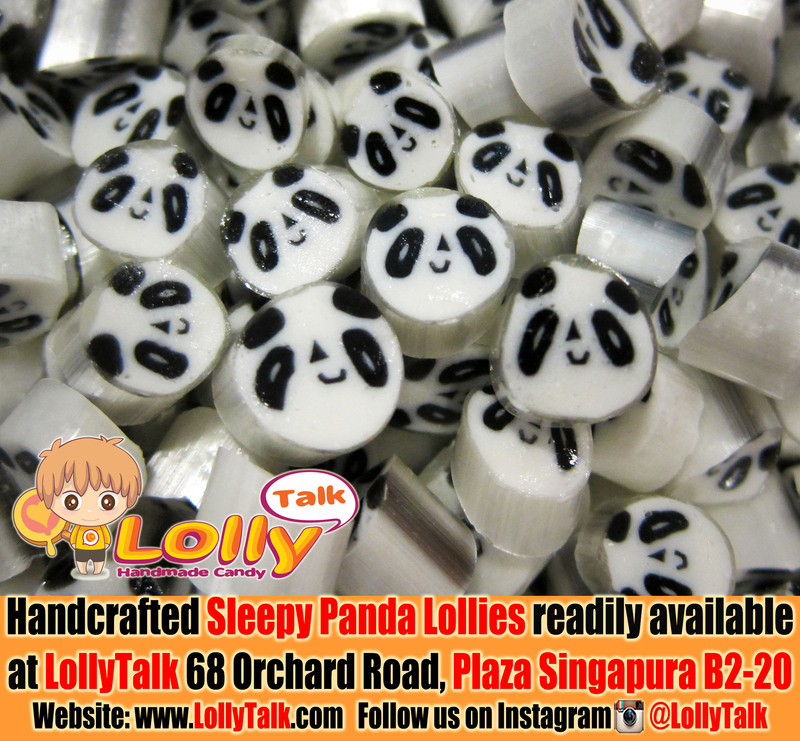 LollyTalk’s “Sleepy Panda Lolly Mix” now available at LollyTalk At Plaza Singapura B2-20!! Ideal gifts for birthday parties and various gatherings. Thank your teachers for helping you bloom with a flower lolly by LollyTalk! Revealing one of the design for the coming “Happy Teachers’ Day” Lolly Mix!!! 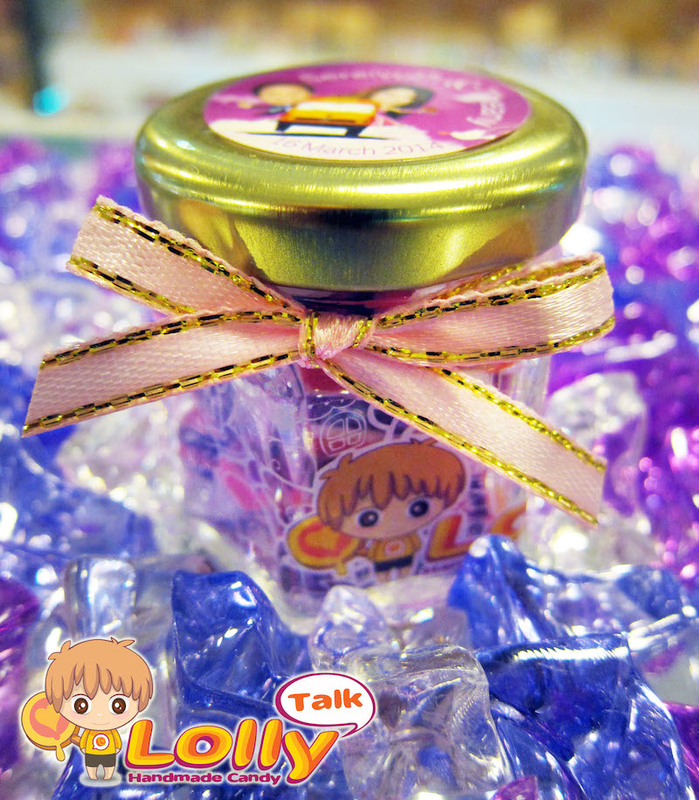 Pre-order your Teachers’s Day Lolly Mix with LollyTalk NOW and getFREE personalized sticker label! Follow our Facebook page as we update you the forming of our Teachers’ Day Lolly Mix. * Free sticker labels are based on a series of templates to insert your name. **Offers might varies nearer to Teachers’ Day. Pre-order ends ANYTIME between now and 17th August 2014. Only FULLY PAID orders are considered confirmed, not counting the date of the enquires or date of email stated intention but without payment. And once the pre-order stage is over, personalized sticker labels required additional cost (or you can get generic sticker labels). Only orders that are fully paid is considered confirmed and ready for collection before 28th August 2014. Starting date of the collection to be advised when stocks are available or when early bird promotion ends. These sticker labels are done in advanced because we need time to layout everyone’s orders (thanks to the power of group buying from fans like you) and print them at once. And do understand the volume of the pre-orders we are handling daily hence it is very hard to track those orders that are not fully paid. Hope our supporters do understand and make the confirmation (with full payment) asap. Each Teachers’ Day Mix comes with at least 4 design/flavours. The Design in the mix might varies. Some of the design might be limited edition, and will be changed with new addition to the mix, and older design might be replaced and not repeated. Teachers’ Day Mix will be sold in various packagings in the shop nearer to Teachers’ Day, starting from as low as S$2.90 onwards. Super mini pack starts as low as S$0.80 for pack of 5 pieces. Good as door gifts and party gifts to be given out to large number of Teachers!!! 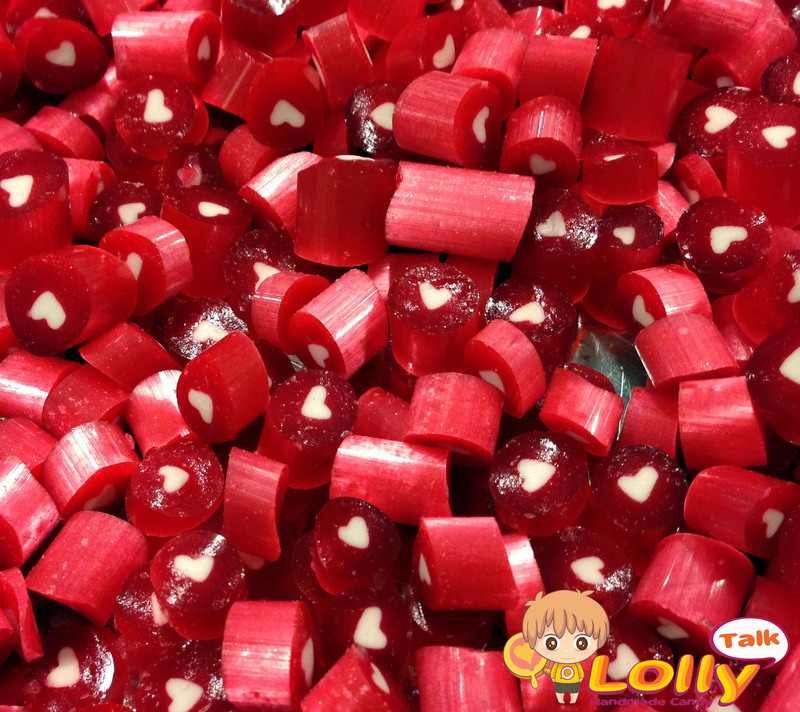 “Love ZATI” lolly… can be found in the upcoming mix Zati.Lolly by LollyTalk in collaboration with Izzati. Zati.Lolly is more than just a candy mix. According to Izzati herself, the launching of Zati.Lolly is all about a celebration of life, about achieving dreams bigger than oneself… as well as a movement to encourage living life to the fullest while loving yourself. Let us all join hands together and carry out this movement to motivate more youth in the coming days with a more positive attitude towards life. Part of the proceeds from the sales of the Zati.Lolly goes to Izzati for her medical bills incurred while fighting against her terminal cancer. Even thou in March, doctor says she left only with 2-3 months, she is still strong, fighting everyday to accomplish big dreams! Currently while updating this post, Izzati still working at LollyTalk on a part time basis, helping out as our Lolly Girl whenever her schedule allows her. She carries out her duties just like any other youth working with LollyTalk, just that she having slightly more commitments than others due to press releases, book launches, giving motivational speech and volunteering herself in various meaningful work. Let us all keep praying for Izzati for her to stay healthy and keep pressing on! Keep a lookout on Zati.Lolly by LollyTalk Facebook for the latest updates! Visit LollyTalk flagship retail outlet, located conveniently at the heart of Singapore’s shopping district, 68 Orchard Road, Plaza Singapura B2-20, come and immerse yourself in the complete lolly shopping experience everyone is talking about. 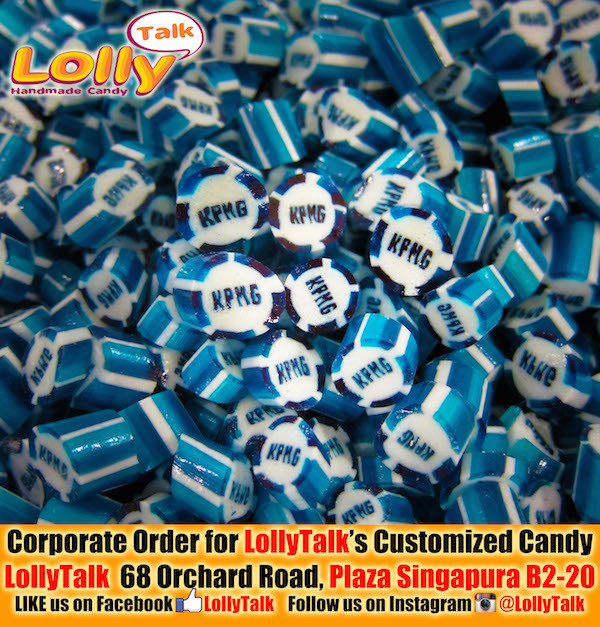 KPMG is one of the many good example of LollyTalk’s corporate clients we assisted to customise their lolly for their events giveaways! LollyTalk’s “SUPER DAD MIX” is now available on the shelf with a completely new look! Available at our flagship retail outlet at 68 Orchard Road, Plaza Singapura B2-20!!! Order your “SUPER DAD” Mix now. Drop us an email info@lollytalk.com for further enquiries. Prices start from as low as S$0.80 for a super mini pack. 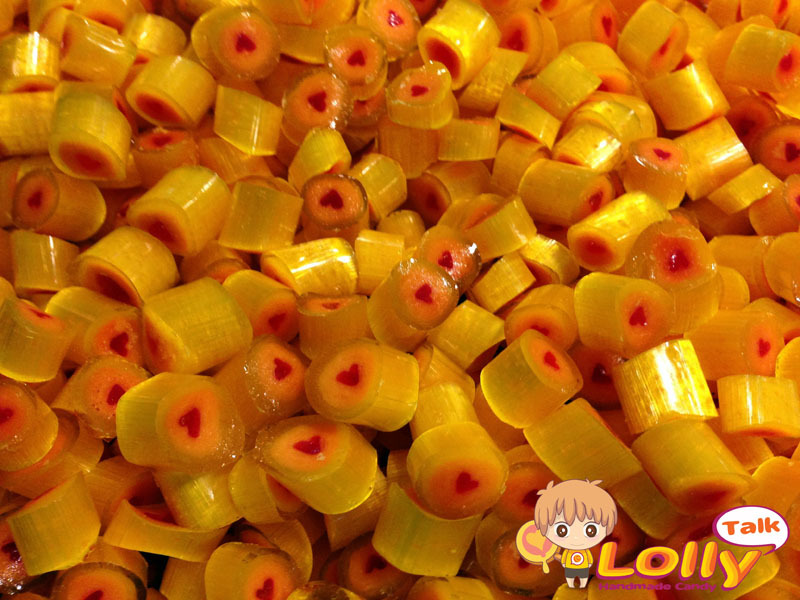 LollyTalk’s “SUPER DADDY MIX” will soon be available on the shelf with a new look! Watch out closely our Facebook page as we slowly build up the mix for 2014 Father’s Day! Pre-order for the “SUPER DADDY” Mix now. Drop us an email info@lollytalk.com for further enquiries. Prices start from as low as S$0.80 for a super mini pack. 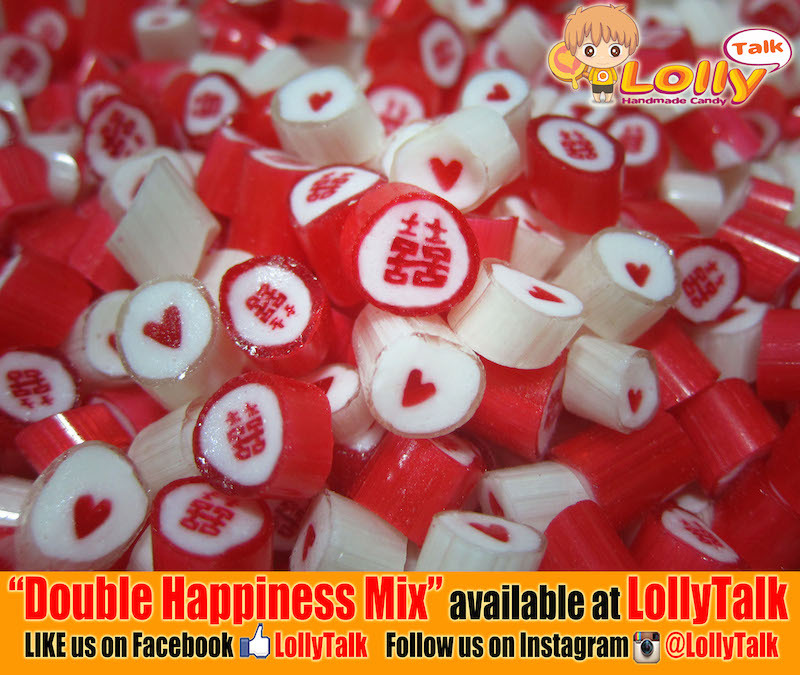 LollyTalk‘s Double Happiness Lolly Mix! 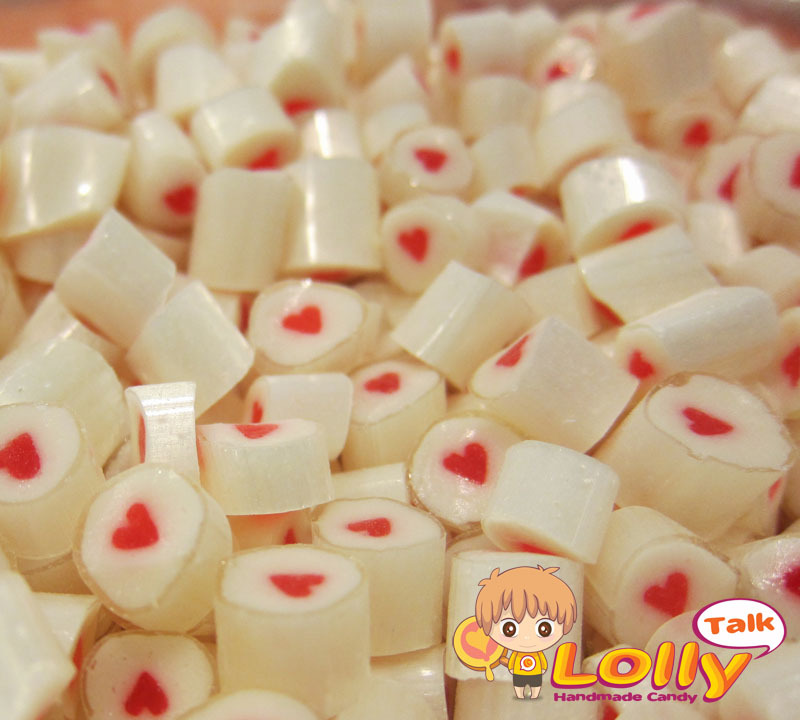 Consist of Double Happiness (双喜) and White Heart lolly! Together with whole series of Sweet Heart Mixes, we provide you with ready solutions using our readily made lolly as your wedding favours! 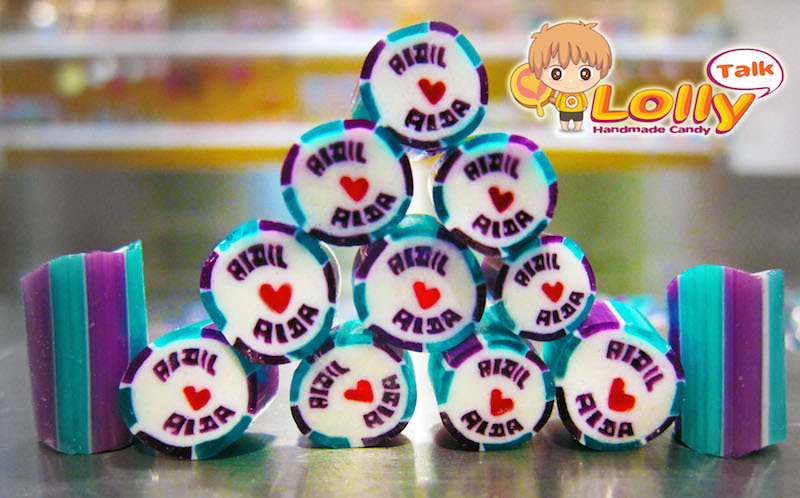 You can also customise your wedding candy with your names handcrafted into each lolly. You can then mix in with those ready made lolly to form a beautiful mixture based on your required colour themes and your favourite flavour. And LIKE our LollyTalk Facebook page and follow us on Google+ to keep you posted of all the latest updates!! Singapore Kindness Lolly featured in Kindness Live! 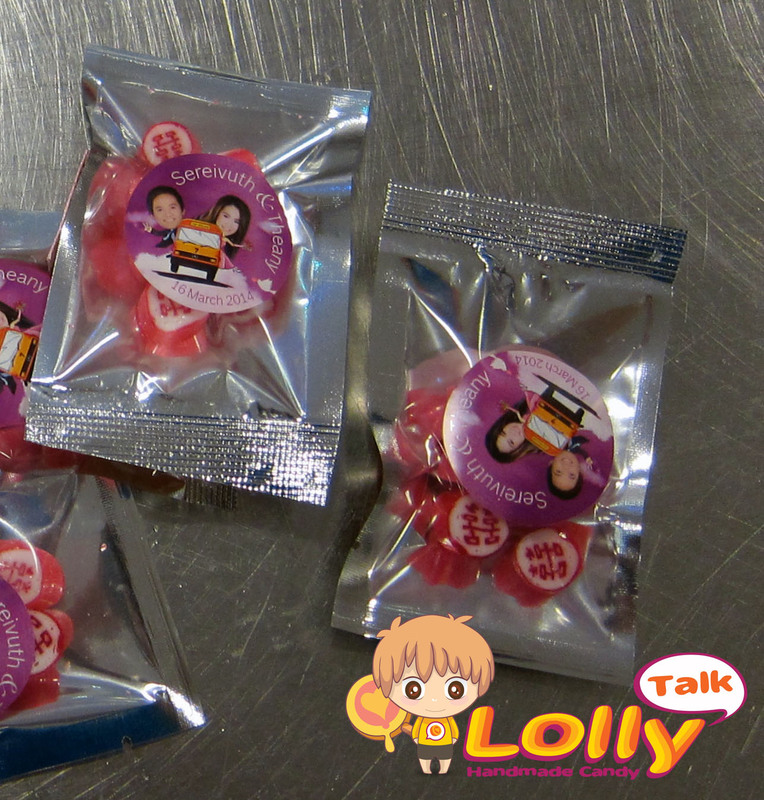 LollyTalk bringing you the first ever Singapore Kindness Lolly Mix. Available on the shelf on 12th May 2014 (Monday) onwards, in celebration of the coming Kindness Day!!! For the early purchases, you will be given a “Thank You Bookmark” from Singapore Kindness Movement (while stock lasts), so don’t miss the chance and place your order now!A portion of the proceeds go towards SKM’s Seed Kindness Fund to support students in their kindness project. And buy before the Kindness Day 2014, LollyTalk will match the sales of the 70g ziplock pack with extra contributions to SKM!!!! So what are you waiting for?? The Singapore Official Kindness Lolly Mix consists of six wonderful flavours (some flavours voted by the public during the last polling) and of course six interesting design… Including the Yellow Daisy Gerbera, Love Kindness, Red Heart, Rainbow Smiley, I Love SG as well as the highly anticipated SINGA Lolly! SINGA the courtesy lion that grew up with lots of Singaporeans and appeared in numerous public education advertisements, is now back at LollyTalk flagship retail outlet, sitting together with our mascot ROCKY at 68 Orchard Road, Plaza Singapura B2-20!!! Come and have your photos taken with SINGA and hashtag #kindnessdaysg to join in the celebration! LollyTalk bringing you the first ever Singapore Kindness Lolly Mix. Soon be available on the shelf next week onwards, in celebration of the coming Kindness Day!!! And buy before the Kindness Day 2014, LollyTalk will match the sales of the 70g ziplock pack with extra contributions to SKM!!!! So what are you waiting for?? Meanwhile, do visit LollyTalk flagship retail outlet, located conveniently at the heart of Singapore’s shopping district, 68 Orchard Road, Plaza Singapura B2-20, come and immerse yourself in the complete lolly shopping experience everyone is talking about. Like LollyTalk Facebook page to keep you posted of all the latest updates!! !….